Cooking for yourself is worth the trouble, Janneke Vreugdenhil tells Ella Walker. It might look like breakfast for dinner, but this easy dish is so much more. Our verdict on Gordon Ramsay's new healthy cookbook. 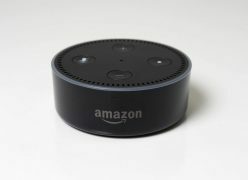 Amazon is expanding the skill set of virtual assistant Alexa beyond being able to control lights and speakers – it’ll soon be able to control your microwave. The key to this dish is getting everything prepared the day before. We've teamed up with Aberdeen food bloggers Lost In Food to bring you some new recipes and unique twists on some festive favourites. 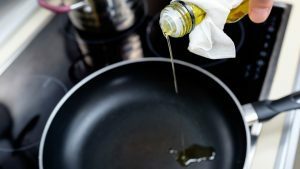 Chemicals present in cooking oil could help with global warming, new research suggests. An Aberdeen social project is seeking funds to keep running its cooking classes for adults with additional needs. The former Bake-Off winner tells Ella Walker that he's found his groove - in the kitchen and in his new book. The former MasterChef winner shares his favourite Japanese dish, light but satisfying ramen. The first time he tried sushi, American chef Tim Anderson, who runs Japanese soul food restaurant Nanban in London's Brixton, wasn't keen. The batter should be light - just to add a slight crunch to the filling. An affordable cooking project has served up some delicious results nearly a year after its launch. Do you fancy yourself as a bit of a chef? Are you someone who likes to cook? Well Jack's Steak House has the perfect competition for you. Michelin-starred chef Tom Kerridge will help dieters recreate his recipe for weight loss success in a new series. If you want an honest answer, ask a toddler. An Aberdeen schoolgirl is celebrating after cooking up success in a nationwide competition. MasterChef returns on Wednesday with a fresh batch of quirky dishes as eight new hopefuls compete for a place in the quarter-finals. An Aberdeen man is hoping to impress some of the country's best chefs in a top contest. Cooking Christmas dinner for a big family can be stressful – so we asked celebrity chef Gino D’Acampo for his top tips to help make it chilled and easy. Vickie De Beer knew something was wrong when her normally energetic eight-year-old son Lucca began to struggle to wake in the mornings, and came back from an annual camping trip with his dad Joe and two brothers looking unusually exhausted. Rick Stein's latest foodie mission, Long Weekends, is all about enjoying life's simpler pleasures. Roast chicken and scrambled egg are among the meals that kids should be able to cook by the age of 11, according to a recent study. A chocolate researcher has landed a job to create the best bar in the world. "I post pictures every day - lots of people want to know where you are and what you're doing," reasons Gennaro Contaldo, pouring his morning coffee with one hand and scrolling through his busy Twitter feed with the other. Let’s be honest – you’ve probably always opted for ready-prepared fillets of fish because the thought of buying one whole and somehow magically turning it into a bone-free dinner has filled you with confusion, fear and dread. Unless you're happy for your children to survive on takeaways or beans on toast after they leave home, you need to make sure they know how to cook. The trailer for Snoop dogg and Martha Stewart’s hotly-anticipated new show has been released. "I think it'll be safer for you - and me - if we use a peeler," says Monica Galetti, as my hands fumble between a baby artichoke and a serrated knife.